Why is Remote Access Important ? In a time when everyone is on the move and locations can’t pass as an excuse for poor work productivity, remote access can be your best ally. This technology is increasingly becoming more common across industries, and it’s easy to see why. However, if you still don’t know a thing or two about remote access, then you’re just at the right place. Today, we’ll show you what remote access is and why it is important. Remote access is defined as the ability to access a computer, device, or a specific network from an offsite location. This can refer to employees who still have access to their office equipment such as computers and laptops even outside of office hours. 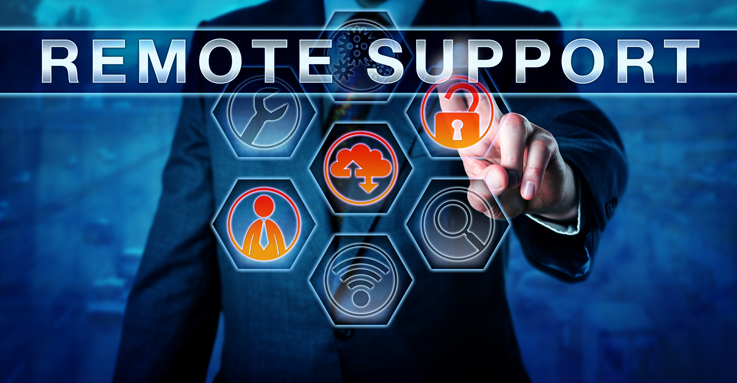 Technical support organizations can also utilize remote access to connect to their clients’ devices in order to resolve any technical problems. Even simple device users can use remote access to accomplish day-to-day functions. Those who have multiple devices can use this technology to connect them remotely all at the same time. You can also provide technical help to your loved ones who live in a different city without needing to be at their exact locations. How Does Remote Access Work? Although there are plenty of remote access solutions in the market right now, almost all of them work in similar ways. However, for this article, we’ll focus on remote access software only. If you’re planning to get one, you need to download and install your remote access software first on both your local computer and remote computer before connecting them to each other remotely. Once the software is installed, you can now open it on your local computer and connect it to the device that you’re going to remote to. However, make sure that your remote computer isn’t shut off so the connection isn’t disrupted and disturbed. From there, you can now perform several tasks on the remote computer as if you’re sitting in front of it. You can run apps, manage updates, and even perform administrative tasks. How Important Remote Access is These Days? According to Forbes, almost 50% of the US workforce is expected to be working remotely by the year 2027. So what does this mean to modern businesses? Well, if remote working is going to be the trend in the coming years, businesses that want to make it in the long run should start embracing remote access as soon as they can. This isn’t only going to be beneficial to the employees themselves, but to companies and organizations as well. Imagine not spending too much money on office essentials such as coffee, tables, toilet tissues and the like. If you’re a business owner, this can save you a lot of money that you can use for more important resources in the future. Also, your employees can save money too as they don’t need to spend much on travel expenses for their daily commute. Investing in the right remote access solution for your business is relatively cheaper than maintaining a full-time office. Providing a work from home culture means reducing the costs you’ll most likely spend on office equipment such as laptops, computers, desktops etc. You can also address business emergencies more effectively using remote access. The thing about business demands is that they don’t recognize if it’s weekend or your day-off. While we dream of having a stress-free weekend with our families and an intimate movie night with friends, there are days when our work says otherwise. That’s when we need remote access to come into play. With remote access, you can still accomplish tasks even outside of office hours. Since you have access to your office computer and network, you can still acquire necessary files and data you need to finish any time-sensitive demands that get in your way. This ensures that work function is still running, and business opportunities are maintained. For businesses that want to improve their attrition rate, remote access works like magic. Providing your employees the freedom to work anywhere they want to sounds like the best job to many. With this, they can maintain a work-life balance culture where they have more time to spend with themselves and their loved ones. This, in return, increases their work satisfaction rate and improves your company’s turnover rate. Freelancers who are always on the go but still need to accomplish projects can utilize remote access for their own benefit. By investing in the right remote access solution, they can access everything on their own computer from anywhere at any time. Remote access is a great business and work solution in today’s fast-paced environment. It’s incredible to know that with this technology, locations and business emergencies no longer impede work productivity and business opportunities from coming. Now that you know how important remote access is, it’s time for you to utilize it for your own good and benefit. what is remote access? || What is remote access control? Author KenPosted on February 18, 2019 March 27, 2019 Categories Remote AccessTags access, remote, softwareLeave a comment on Why is Remote Access Important ? Why Do You Need Remote PC Access Software? In a world where business dynamics demand fast and quick solutions to problems that arise within organizations, remote PC access software could be your best business partner. Since some business-related problems emerge in the most unforeseen circumstances, the ability to address them effectively and immediately is what makes remote PC access software a great corporate asset. What is Remote PC Access Software? Remote PC access software is a tool that allows a user to connect to specific devices from a remote location. Simply put, it allows the user to access the computer he or she is trying to remote to to perform a bunch of tasks a person sitting in front of it can. With remote PC access software, the user can manage apps, run programs, fix issues, and even access files located in the remote computer. Online collaboration can also be achieved using remote PC access software. It enables file and data sharing between employees who work in a fast-paced environment. With this, team leads can perform administrative tasks to multiple participants all at the same time, as well as arranging team conferences for staffs working in different geographical settings. What Are the Reasons for Using Remote PC Access Software? There’s a bunch of reasons as to why many people, particularly businesses, install remote PC access software. Perhaps the most obvious reason for the installation of remote PC access software is to address unforeseen issues that demand quick and fast solutions. Imagine receiving a business concern outside of office hours that requires you to access a file in your office desktop. Without remote PC access software, it wouldn’t be possible for you to finish the task handed to you, thus, affecting your work productivity and performance. To save big on time and money is another leading reason as to why many people choose to use remote PC access software. Let’s say you’re a busy IT help pro that caters to a wide range of clients who live in different locations. Providing onsite visits can be tiring and exhausting, to say the least. Not only does it consume much of your energy, but it can also drain you financially. Since remote PC access software allows you to access a remote computer from your location, you’ll be able to attend to your clients’ problems without the need for an onsite support. This, in return, allows you to work on your clients’ issues faster and more efficiently as it saves you big on money and travel time. File and data sharing is also achievable using remote PC access software. Business people who are out there presenting business proposals to key clients may find this tool helpful, and a life-saver. Instead of going back to your office to obtain an important file needed in your presentation, you can just simply access it using remote access PC software with such ease and comfort. Remember that in business, time is of essence. It can make or break a business deal depending on how fast your service is. For businesses that want to improve their employees’ turnover rate, remote PC access software works like magic. Since it allows employees to access their corporate network from anywhere at any time, they can enjoy the luxury of working anywhere they want to. This enables them to not only have more time for themselves but for their families and friends as well. With remote PC access software, a work-life balance is achieved, making the employees feel more satisfied with their jobs. System administrators can also exercise greater control using remote PC access software. This will allow them to control and monitor any device connected to the corporate network, thus, making it easier for them to detect who’s accountable for a specific security issue should there be one in the future. They can also have the ability to decide what information should and should not be shared with employees for confidentiality and security reasons. Some customer service representatives also provide support using remote PC access software. Instead of just talking to their clients on the phone, they can access their own desktops remotely and walk them throughout the entire tech support process. This enables them to see where their problems exactly lie, allowing them to reduce any misunderstandings between them and the support people. In a fast-paced environment we live in today, you need a tool that’s going to allow you to address time-sensitive issues and demands effectively. Investing in the right remote PC access software could be one way of maximizing your business efficiency and productivity. Add remote PC access software to your organization’s asset now and be surprised by how beneficial it is to your business. Author KenPosted on February 15, 2019 March 27, 2019 Categories Remote AccessTags access, remote, softwareLeave a comment on Why Do You Need Remote PC Access Software? Whether you’re a part of the marketing team, administration team, IT team, or even if you are the CEO of a well-known organization, your main purpose is to be efficient at your job. However, as the demands of the market increases, most employees tend to overwork. Hence, compromising the time that should be spent with their loved ones. This is where the need for a good remote access software comes into play. In today’s fast-paced environment where lot of things happen online, implementing a BYOD practice is indeed necessary. It allows employees to make use of their personal devices for work purposes. Employees can either use their mobile phones, their laptops, or even their tablets to do their job. What is Remote Desktop Software? Remote desktop software is a program that allows users to remotely access a computer via another device from a different location. With remote desktop software, connecting, accessing, and controlling all files and data from a remote computer is now possible. It allows users to attend to any work responsibilities even off site. To use a remote desktop software, a good internet connection is all that you’ll need. Once the connection has been set up, anything stored in a remote computer including files and software can be accessed as if you’re in front of the office computer. Remote desktop software can even transfer mouse movements or keyboard input to help users handle and view the needed data from the remote computer. 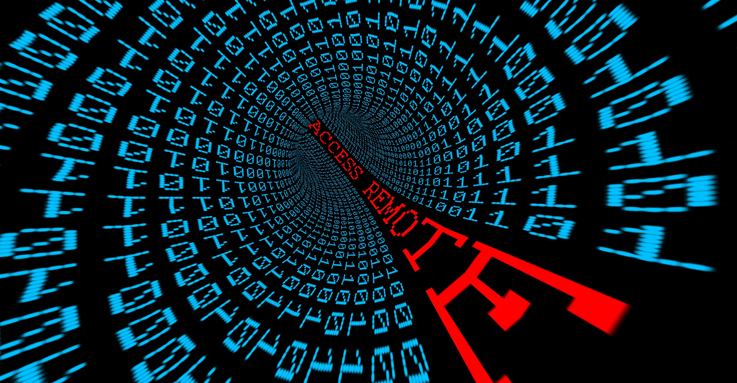 Why Remote Access Software Matters? One of the major benefits of a remote desktop software is accessibility. Remote desktop software eliminates the need to physically manage the computer and access files. Remote desktop software also allows users to perform their day-to-day tasks remotely. Updating settings, attending meetings and presentations, as well as troubleshooting have never been this easy, thanks to remote desktop software. With today’s advanced technology, hundreds of solutions to improve corporate processes are now available. One of which is a remote desktop software. To help you better understand its importance, below are four major benefits of using a good remote desktop software. Remote desktop software improves productivity. Regardless of the type of industry you’re in, the most important aspect of an organization is time. A good remote desktop software saves time and improves productivity. With remote desktop software, employees can enjoy the benefit of doing multiple tasks at the comfort of your home or even in different locations. Imagine doing your job at your favorite place with your favorite coffee. Sounds interesting, right? Opting for a good remote desktop software is indeed a great investment. Remote desktop software provides security. Quality protection in all aspects of an organization should always be maintained. Security can make or break a company. Hence, it is best to choose a software that provides quality service and outstanding protection. One of the best things about a remote desktop software is that it doesn’t just give you the features you want, it also comes with the protection you need. Your files and data stored in your remote computer aren’t for everyone to see. A good remote desktop also uses advanced key encryption. Thus, ensuring that information is well-protected. Remote desktop software contributes to employee satisfaction. Employing a good remote desktop software on employees’ personal devices is proven to be an effective factor when it comes to employee satisfaction. 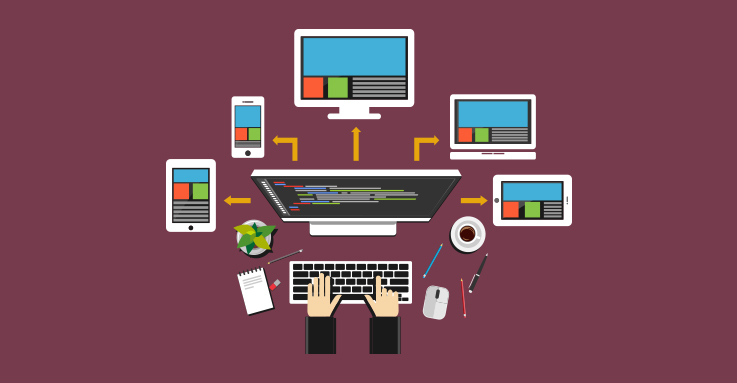 As most organizations adapt BYOD practice to their daily norm, the use of a remote desktop software becomes necessary. It provides employees the freedom to perform their job on their own ways. Employee satisfaction is an essential aspect on the success of an organization. Once employees are satisfied, they are likely to perform well. Remote desktop software improves business development. Remote desktop software changes the way most organizations carry out business processes. As organizations face an increasing demand for more efficient services, having a good remote desktop software is essential. With all the benefits this software offer, no doubt, it can contribute to the success of all organizations across the globe. Technology helps different businesses in a lot of ways. You can store your company’s files using a cloud-based service or set up your own file server. You can also access these files from another location such as your home. 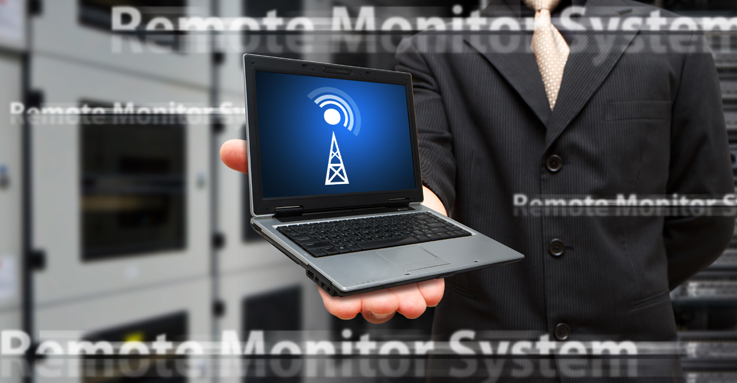 A remote control software aka remote access software will meet your business needs. But how do you know which remote control software is the best for your business? In this article, you’ll first learn what “remote access” means. You will then know the best features to look for in remote control software. Finally, you’ll know how to connect to a remote computer. You’ll better understand complex terms by first breaking them into smaller pieces. “Remote control software” has three words in it. We’ll define each word first, then arrive at a logical definition. Remote – this word is synonymous with the words far and distant. It tells about a faraway location. Control – is the ability to manage and limit access to information. Software – is a computer application or program that fulfills a task or meets a human need. Remote Control Software is a computer program that offers remote connectivity to people. This application helps us in making file transfers and screen sharing. Remote control software is also very applicable in troubleshooting remote desktop computers. You’ll know about the different features of remote control software in the next section. 1. Your application should first be able to provide remote connectivity. Your app is useless if it doesn’t let people from distant places to connect to your network. It should handle remote sessions with ease. 2. Your remote control software should run on different operating systems. It’s a good thing when distant people using Mac OS or Linux can connect to your network. 3. The remote desktop connection that your application provides should be secure. It should offer solid encryption methods. 4. Your remote control software should have “unattended access” feature. This allows you to connect to the client’s computer when the owner isn’t around. This is very useful when troubleshooting remote computers. 5. Your remote control software should allow file sharing between people from different places. This is one of the primary reasons for using remote control software. Being able to upload work data anytime and anywhere is very convenient. 6. Your remote desktop software should also run on different platforms. It should run on a web browser and mobile device as well. It’s convenient if we can connect to the remote PC at work using our smartphones and the browser in it. 7. Your remote access tools should also offer a built-in chat system. This will let you communicate faster with your clients. A non-techy client needs troubleshooting help. Having a built-in chat system will result in good customer experience. 8. Your remote control software should support a multi-screen setup. Some of your clients use several monitors for their computing needs. 9. Your remote control software should have an auto-update feature. Updates are very important because it contains bug fixes, driver upgrades, among others. Updating itself is a good feature and adds a layer of security as well. 10. Video session recording is another good feature. This is very useful if you want to record a meeting with your boss or client. You can also record your troubleshooting session with the tech support guy. You might be wondering by now how you can connect to a remote PC. There are two ways you can connect to a remote computer. You can connect using Window’s Remote Desktop Connection. Providing remote connectivity to your employees has a lot of advantages. A remote control software has a lot of great features that can help improve your company’s day-to-day operations. With that said, you must consider incorporating this technology to your company’s IT environment. updates and special offers delivered directly to your inbox.